A loan of $375 helped buy an industrial food mixer for making bread and other items. 40-year old Martha is a friendly, obliging, and organized woman. She lives with her family in the municipality of Bogotá with her husband. They worked in a bakery for years. Nevertheless, their goal was always to start their own family business, and with much discipline they managed to save enough to fulfill their dream. Today Martha runs a bakery in the capital of the country. The business provides for the food and wellbeing of her 10-year old son. Every day of the week her customers can come to the bakery between the hours of 7 am and 4 pm to make their purchases. There they can find all kinds of bread, cookies, cakes, cheese bread etc, as well as other items such as drinks, milk products and so on. Now Martha is seeking her first Kiva loan with the Mario Santo Domingo Foundation to buy an industrial food mixer so that she can make the bread and other baking more easily. Her dreams are to deliver bread in the local area and to improve the quality of life of her family. Translated from Spanish by Kiva volunteer Jane A. View original language description. 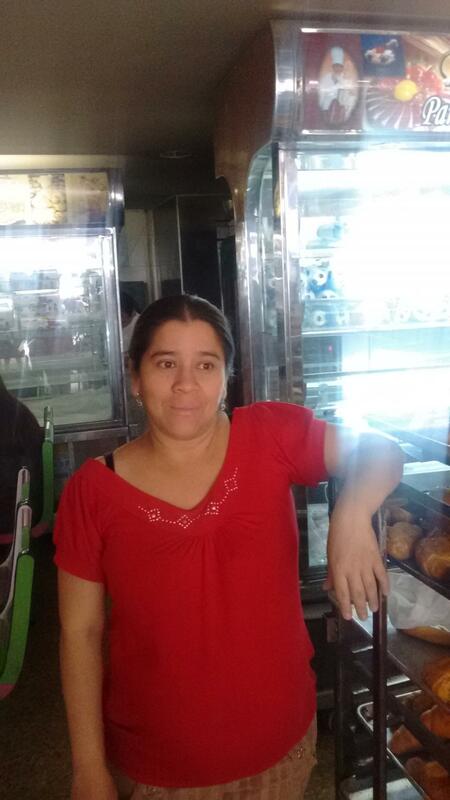 Martha de 40 años es una mujer amable, servicial y dispuesta, ella vive con su familia en el municipio de Bogotá y en compañía de su cónyuge estuvieron empleados en una panadería durante años, sin embargo, su meta era iniciar su negocio familiar y con mucha disciplina lograron ahorrar para materializar su sueño. Hoy en día tiene una panadería en la capital del país que les provee el sustento y bienestar para su único hijo de 10 años de edad. Todos los días de la semana sus clientes pueden llegan a realizar sus compras a partir de las 7 a.m. hasta las 4 p.m. allí encuentran panes de todo tipo, galletas, pastelitos, almojábanas entre otros productos complementarios como bebidas, lácteos y demás. En la actualidad está tramitando su primer credikiva con la Fundación Mario Santo Domingo para comprar una máquina batidora industrial para agilizar la elaboración de panes y productos de repostería. Martha sueña con distribuir panes a nivel local y mejorar la calidad de vida de su familia. Apoyala.